January 17th in Wordpress Plugins by Wordpress Jedi . 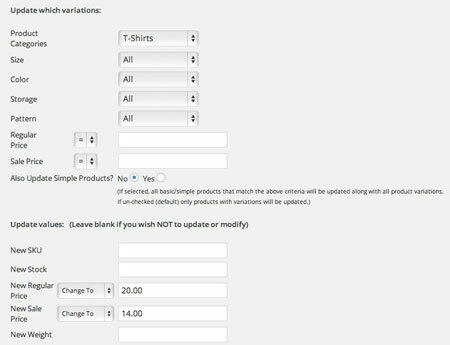 WooCommerce Advanced Bulk Edit: lets you edit your product and variations individually or in bulk. Lets you filter products by various factors. YITH WooCommerce Bulk Product Editing: this plugin lets you edit prices for different products at the same time. It also lets you filter products by category and price. 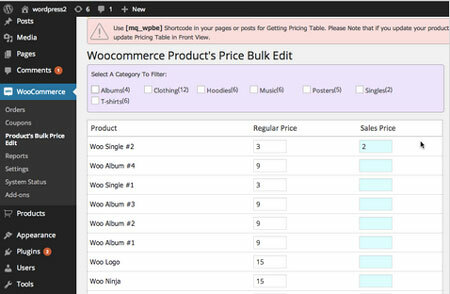 MQ Woocommerce Products Price Bulk Edit: this plugin helps you edit prices faster using AJAX. 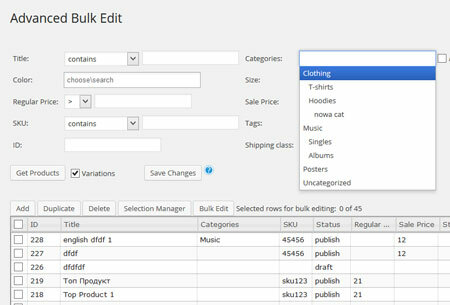 WooCommerce Bulk Edit: another plugin that lets you bulk edit prices, size, weight, and more. 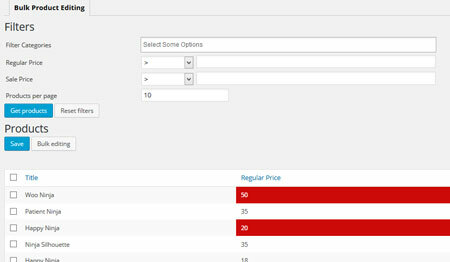 You can increase or decrease prices in a category by a % or dollar value. Have you found better bulk edit plugins for WooCommerce? Please share them here.